Our master distillers know that to make the world’s best cachaça, you must begin with superior quality cane. At our distillery, the soil and weather combine to create the ideal growing conditions for cane. All of our sugarcane is grown without synthetic pesticides or fertilizers, which have a serious long-term impact on the environment. 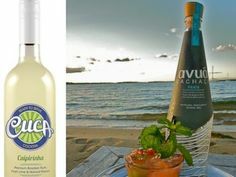 Our fermentation and distillation process is also completely natural and Cuca Fresca Cachaça is USDA-certified organic. All of our sugarcane is closely monitored and harvested at it’s peak, using the traditional methods of cutting by hand, and it is never burnt during harvests. While this is a more time-consuming method of harvesting, it is essential to maintain the delicate balance and sweetness of the cane. Immediately after being harvested, each piece of sugarcane is hand-selected and pressed in the traditional method to extract the fresh cane juice. This fresh juice is then fermented using all-natural ingredients. After fermentation, each batch of Cuca Fresca is double-distilled in traditional copper alambique stills. These small-batch artisanal methods of distillation produce a spirit that is smoother and more refined than other cachaças, which are typically mass produced using a column distillation process. After each batch of Cuca Fresca is double-distilled, it is put in barrels to age. This aging process makes the cachaça even smoother and adds complexity. Our Cuca Fresca Prata is aged for one year in oak, resulting in a premium silver cachaça that has been called the “ideal slate for cocktail creativity.” Our Cuca Fresca Ouro is aged for four years in Jequitiba, a native Brazilian wood, resulting in a gold cachaça that is perfect for sipping neat or on the rocks, as well as in ultra-premium cocktails.